After having read Joyland and loving it I knew I needed to read something else by Mr. King. I didn't want to go with any of his well known horror novels (Carrie, The Shining, and It would be just much to much for me! I would be sleeping with the light on for DAYS!) 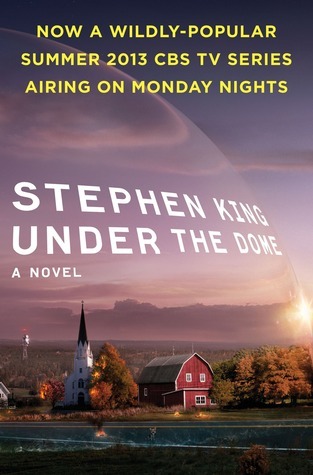 so I decided to try Under the Dome. It's a fairly new release and was very much in the news this summer since it was turned into a miniseries. It is the story of a small town that finds itself out of the blue trapped under an invisible dome. No one can get in or out, no one knows where it came from, and no one knows how to get rid of it. Not only is this a story with a supernatural twist, but this is a really well done story about people. When confined in this sort of a situation, how will average, everyday people react? Who will come out on top, who will show their true colours, and who will surprise you complete (in both good and bad ways)? I really really liked this book! It kept me engaged right up to the last page, it was well written, and lots of fun! I tried watching the miniseries and I've gotta tell you, the book is WAY WAY better! A really fun read and a great one if you are wanting to read Stephen King but don't want to start off with anything too scary. I've picked up 11/22/63 which I hope to read sometime soon! 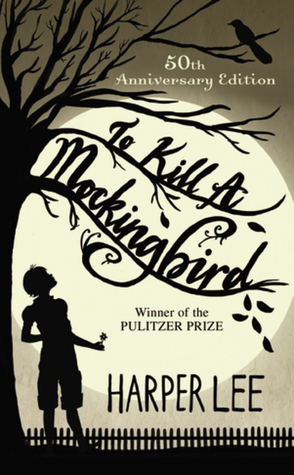 I can't believe it has taken me this long to read To Kill a Mockingbird! What a beautiful beautiful book. From the time I picked it up till the very last page I was completely lost in the story. It is a novel that everyone needs to read at least once in their lifetime and not just because it's on every list of 'Books to Read Before You Die'; it is one of the most moving, well written, and memorable stories I have every read. 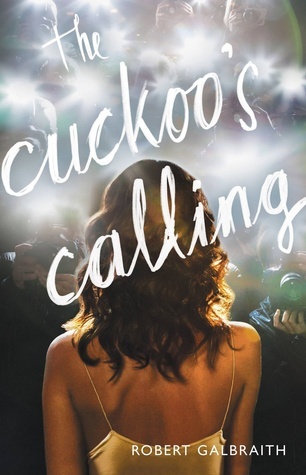 The book that everyone is talking about this summer due to the unexpected reveal that Robert Galbraith, an unknown author, was in fact literary superstar, J.K. Rowling, making her mystery debut! I picked it up, just as I'm sure so many did, after the big reveal. Not only was I interested because of the author (whose first post-Harry Potter novel I really enjoyed), but because the story sounded interesting and I like mysteries. People, this is a great mystery novel! Chock full of appealing characters, an intriguing mystery, and a window into the lives of the rich and famous; this book has all the benchmarks you want hit in a mystery novel. I hope that Mr. Galbraith writes more books featuring private detective, Cormoran Strike, because I would love to find out more about him and hear about more about the cases he's involved in. On a side note, keep an eye on Strike's secretary, Robin; my favourite character! This is the fifth novel in Penny's Inspector Gamache series and I have to say that it's one of my favourites so far. I really loved the first two books in the series but felt that the third and fourth book took a bit of a dip for me; I liked them but I didn't love them. The Brutal Telling returns Penny to her A game. 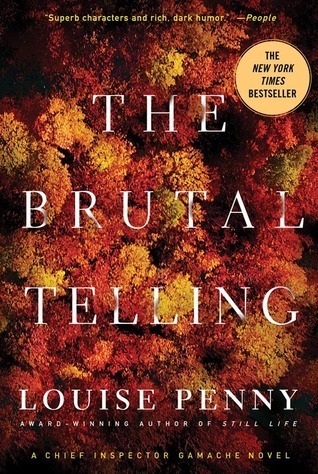 A murder that digs deep into the heart of the small town of Three Pines; we really get to know more about many of the town residents and the secrets that have been hidden. Full of twists and turns, an all around great novel.